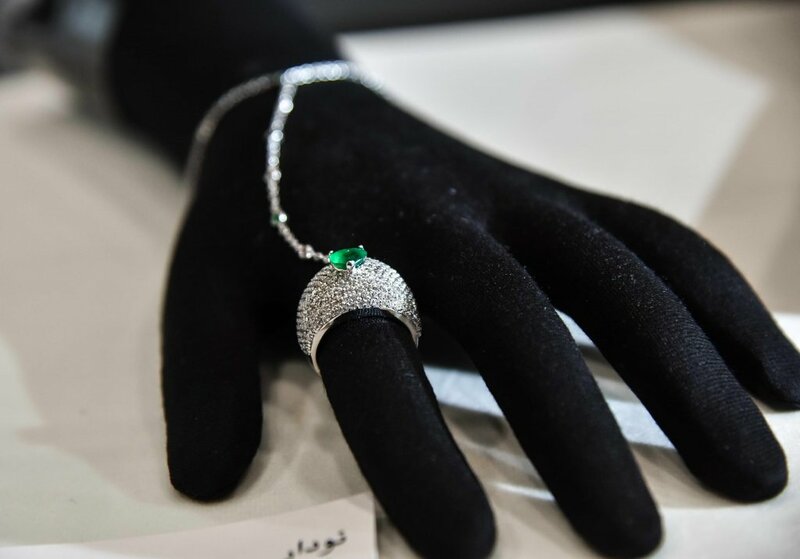 DOHA, 24 February 2019: Qatari youth continued to showcase their creations at the Young Qatari Designers initiative at the 2019 Doha Jewellery and Watches Exhibition (DJWE). Under the patronage of the Prime Minister and Minister of Interior, H.E. Sheikh Abdullah bin Nasser bin Khalifa Al Thani, the YQD initiative is part of DJWE’s commitment to nurturing creativity and artistic expression among young people, and has attracted visitors, dignitaries and jewellers to the pavilion exhibiting their designs alongside world-class brands. The YQD initiative is a unique platform for the emerging local talents, and is twice as large this year, featuring 12 talented designers. The nine returning Qatari designers are: Fajr Al Attiya of Trifoglio, Ghada Albuainain of Ghada Albuainain Jewellery; Hissa and Jawaher Al Mannai of Ghand Jewellery; Leila Abu Issa of Leila Issam Fine Jewellery; Nada Al Sulaiti of Hairaat Fine Jewellery; Nouf Al Meer of Nouf Jewellery; Sarah Al Hammadi of Sarah’s & Co; Noor Alfardan of Noudar; and Shaikha Al Ghanim of AlGhla Jewellery. Designers taking part for the first time include Abdulla Yussif Fakhroo of Midad Jewellery; Noora and Mariam Al Meadadi of Thameen Jewellery; and Sameera Al Mulla of Hessa Jewels. 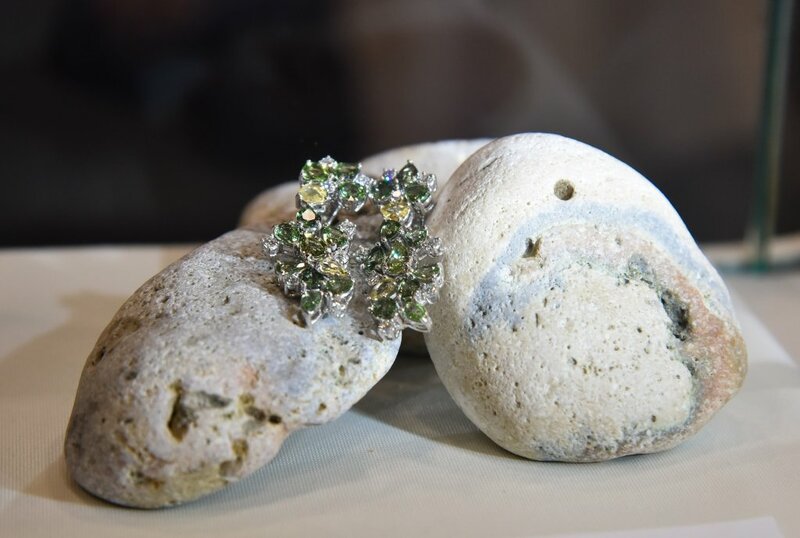 Since the opening of DJWE, the YQD’s selection of fine jewellery and unique statement pieces has been attracting keen interest from visitors and local and international media, eager to learn about each of the pieces and the stories that inspired the designers to create each one. 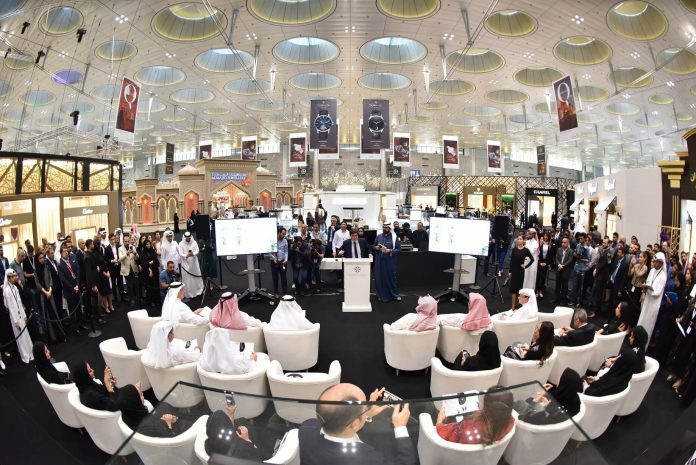 The exhibition is an important platform for young creators to showcase these stunning designs and share their creative visions with local and international audiences, as well as the world’s leading brands. Ten Qatari women designers who are part of the YQD initiative, as well as designers Mariam Al-Khalaf and Noora Al-Ansari, participated in the charity auction held by DJWE on February 24, which was moderated by Mr. Habib Al-Tamimi. All the pieces displayed at the auction were designed specifically for DJWE, and were displayed to the public throughout the day. The auction, which was successfully held for the second time, attracted prominent dignitaries and businessmen, who were keen to support the YQD initiative. The proceeds of this year’s auction will go to Education Above All (EAA) Foundation, a global movement founded in 2012 by Her Highness Sheikha Moza bint Nasser, which contributes to human, social and economic development through the provision of quality education. The 11 Qatari-designed pieces were centre stage during the auction. The collections are diverse; each piece touches on styles with various influences, reflecting a mix of traditional and modern designs, Eastern and Western influences, for some, the influence of modern art, and for others national pride and Oriental femininity. Hairaat Fine Jewellery presented “Forget Me Not”, a unique multicolour necklace of Tahitian pearls and golden carved south sea pearls, which can be worn in three different ways. 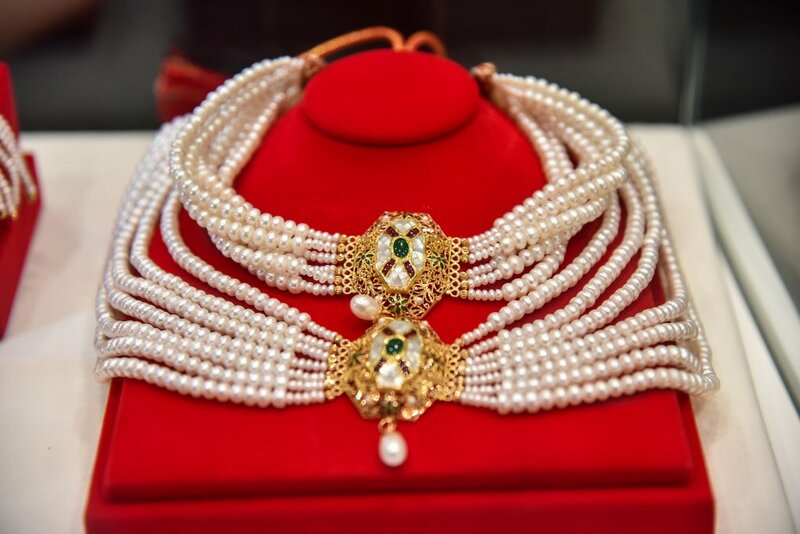 “Moza’s Set”, a 21-karat gold necklace, bracelet, earrings and ring set, encrusted with seashells and stones and woven with pearl patterns, was designed by Al Ghla Jewellery. From Sara and Co., came the extraordinary ‘The Geometric Cuff’, with an intricate design inspired by the finesse of a Mashrabiya element (Arab architectural element). The bangle is crafted in 18-karat yellow gold and set with 18.66 carats of natural, coloured and colourless brilliant-cut diamonds. The piece provides a seamless transition of colour and reflects modern themes, represented by the fine lines and sharp edges. The designer, Mariam Al Khalaf presented an extraordinary piece, “Girnas”, uses a falcon in the design to signify the qualities of the Qatari people, courage, pride, patience and strength as well as the relationship between the people of Qatar and its generous leaders. The necklace features 116 GH-colour diamonds weighing 0.98 carats, 77 Brazilian emeralds weighing 1.53 carats and 361 fresh water pearls. Also part of the auction, was an exquisite piece designed by Noora Al-Ansari. Trifolglio’s “Heart of Doha Bracelet”, made of yellow gold, with diamonds and decorated with 160 pieces of pearl, was designed to embody Qatar’s seafaring heritage. The “Forest Green Earring” presented by Leila Issam (Leila Issam Fine Jewellery) is a set of earrings made up of 1.60 carats of brilliant cut diamonds surrounded by 13.80 carats of coloured sapphires set in 18-karat white gold. The brilliance of the colours evoke a particular moment in time, when sunbeams pass through a dense forest. 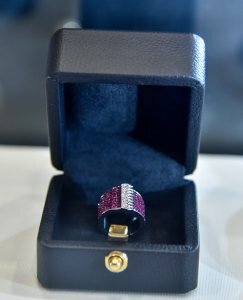 Hessa Jewels took inspiration from the strongest of all Qatari symbol for the “Qatar Flag Ring”, a work of art embellished with round diamonds and rubies and made in 18-karat gold. Thameen Jewellery presented the “Desert Rose Necklace”, an 18-karat gold and diamond necklace with two roses in different sizes and shapes inspired by Qatar’s nature. Nouf Jewellery’s “Blossom Ring”, uses a butterfly motif that symbolizes Qatar and its serenity and beauty of place. Ghand Jewellery presented “The Desert Rose Ring”, handmade of white gold surrounded by baguette diamonds and with Islamic inscriptions in yellow gold, centered with 0.3 carats of round diamonds. Noudar’s “Shafiqa’s Ring” was inspired by the designer’s mother and so-named after her. The ring is created in white gold, with a white diamond and heart-shaped emerald centered on top of the ring. 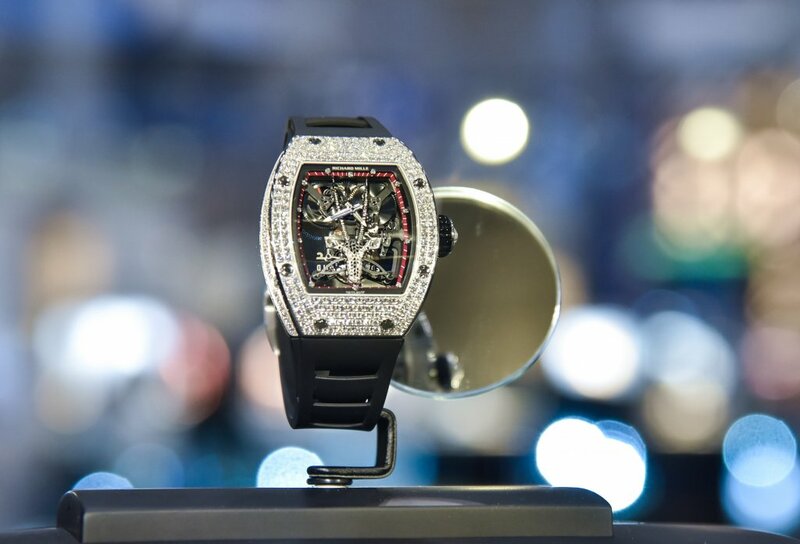 Richard Mille, renowned designer, has once again collaborated with the Educate a Child program, which is overseen by the Education Above All (EAA) Foundation. This year he designed three special edition RM 51-05 Oryx Tourbillon Watches, engraved with the slogan “Educate a Child”. The full proceeds from one of these exclusive pieces, estimated at around €750,000, will go to the Educate a Child program. The famous designer has already contributed about €1 million, through other initiatives, to the EAA Foundation. A silent auction of the Oryx watch and a button set will be held on the sidelines of the DJWE, with around 15% of the proceeds being donated to EAA. The beneficiary of this year’s auction, EAA, is committed to equipping children, and youth with the tools to learn. Their vision is to bring hope and opportunities that will improve the lives of marginalized children, and youth, particularly those living in areas affected by poverty, conflict and disaster. EAA believes that education is the single most effective means of reducing poverty, generating economic growth and creating peaceful and just societies, as well as a fundamental right for all children and an essential condition to achieving the Sustainable Development Goals (SDGs). 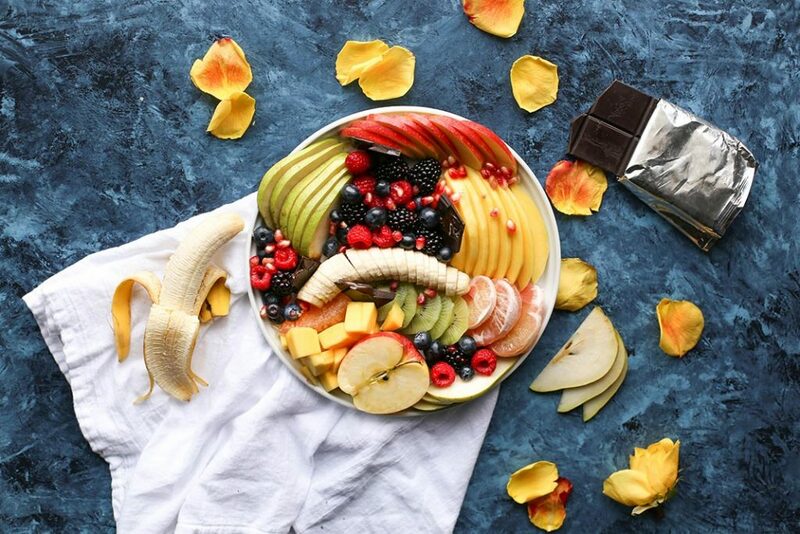 EAA is an umbrella organisation for several programmes, and their EAA projects span primary education, access and enrolment, higher education and wider concerns such as the health, wellbeing and basic rights. DJWE is open to visitors every day from 12 noon until 10pm until Monday, 25 February; and on Friday between 4pm and 10pm.  Organised by QNTC and delivered by Auditoire, the six-day exhibition offers visitors exclusive experiences of craftsmanship and designs from international brands from over 10 countries. Next article10th Qatar International Food Festival with diverse flavours of the world!